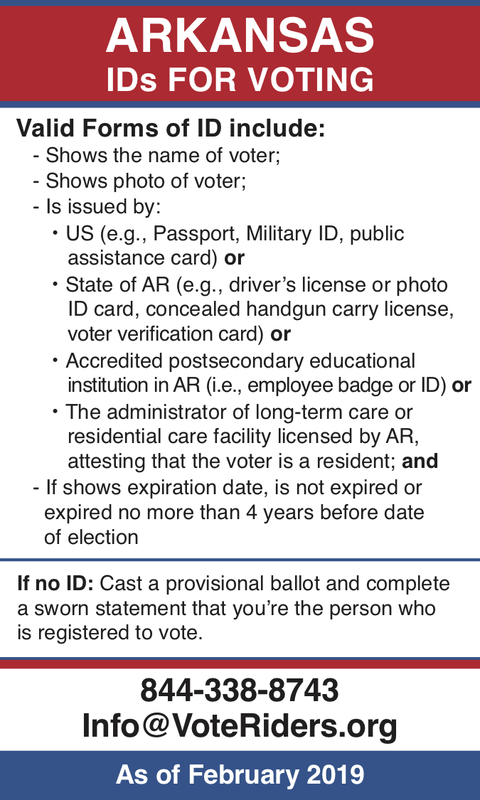 Curious about Arkansas voter ID requirements? 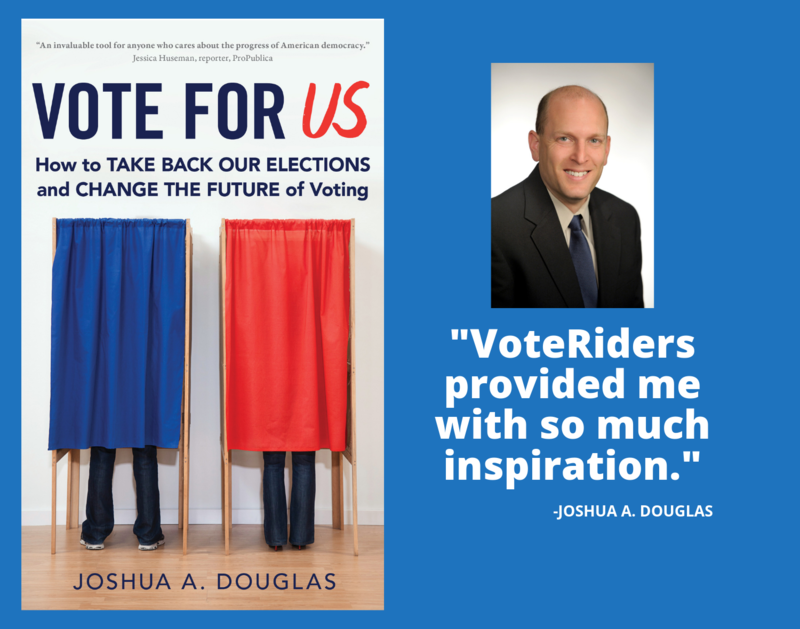 VoteRiders can help, with free resources and expert assistance to help you with voter ID questions including how to replace your expired or lost Arkansas ID cards, how to obtain the documents needed to secure your ID, and even how to correct errors in your birth certificate. 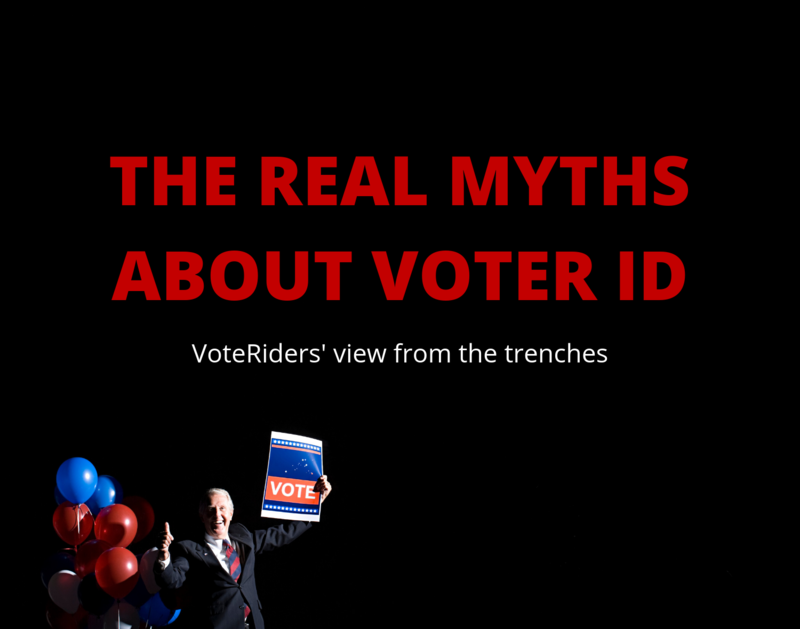 For questions or help obtaining AR ID to vote, call VoteRiders’ toll-free Voter ID Helpline: 844-338-8743. Concise guide to voter ID rules in Arkansas. If shows expiration date, is not expired or expired no more than 4 years before date of election. If no ID: Cast a provisional ballot and complete a sworn statement that you're the person who is registered to vote.